Where to find Brigus hotels near an airport? Where can I find hotels in Brigus that are near tourist attractions? 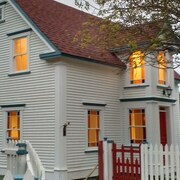 So, are you traveling in Newfoundland and are looking to choose accommodations in the Brigus area? The center of Brigus has 3 Expedia-listed hotels within a 0.1-kilometre (0.06-mile) radius. Within driving distance of Brigus, are the The Spaniards “Room” Heritage Home and Silverwood Inn. 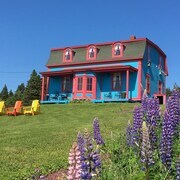 A couple of Expedia-listed accommodations that are well worth checking out are the Comerford's Ocean View Efficiency Units and the Hotel Harbour Grace. The Comerford's Ocean View Efficiency Units is located 17 kilometres (11 miles) from downtown Brigus. 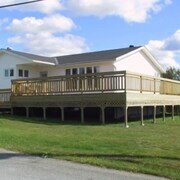 The Hotel Harbour Grace is situated 18 kilometres (11 miles) away. 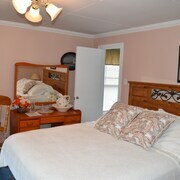 The The Bayside Bed & Breakfast is one more great option. It's positioned 6 kilometres (4 miles) from Brigus' center. If you have time left, you should discover more of Newfoundland. Newfoundland is marked by rivers. 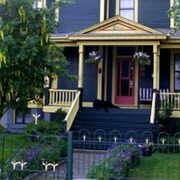 Commonly visited Newfoundland tourist attractions are old towns and cathedrals. Common pastimes in this part of Canada include snowboarding. St. John's is 40 kilometres (24 miles) to the east of Brigus and is where you'll find Signal Hill and Memorial University of Newfoundland. Some of our recommended St. John's accommodation options include the Delta Hotels by Marriott St. John's Conference Centre and Sheraton Hotel Newfoundland. 40 kilometres (24 miles) to the east of Brigus, you'll find Downtown St. John's, which is home to the The Murray Premises Hotel and Courtyard by Marriott St. John's Newfoundland. The Atlantic Place and Spirit of Newfoundland are just a couple of the more popular points of interest to see for those visiting Downtown St. John's. 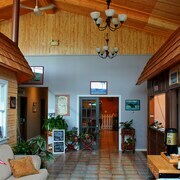 Located 35 kilometres (23 miles) from Brigus is St. John's International Airport. 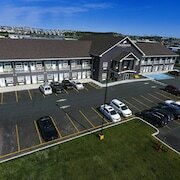 Stay nearby at Holiday Inn St. John's Conference Centre or Balmoral House. What are the most popular Brigus hotels? Are there hotels in other cities near Brigus? What other types of accommodations are available in Brigus? Explore Brigus with Expedia.ca’s Travel Guides to find the best flights, cars, holiday packages and more!